Barb Coutu has been with Nutrition Services since 2017. She started out as a kitchen manager at Trailblazer Elementary and then took on a new role as kitchen manager at Thunder Ridge High School (TRHS) this past September 2018. Barb started at TRHS very short staffed and has gone through the year at least 1 person short every day. Yet she always has a smile on her face and a positive attitude! She has done an amazing job training her new employees and is always available to help others when needed. She has been able to increase lunch participation and has had record breaking Subway Sales on several occasions. Thank you Barb for all that you do for the students at TRHS and for your team!! We are all very fortunate to have you! I thought hard about who to talk about in terms of an Extra Special Person, knowing that I have been so fortunate to work with such exceptional people every day! So many names come to mind! Our sites are filled with people who go above and beyond every time that they come to work. When I thought in terms of this, Marta Pryor’s name and face came to me immediately! Marta has worked at Rocky Heights Middle School (RHMS) as a Kitchen Assistant since 2004 when she joined the Nutrition Services team. Because of her 14 years of service, she has seen many changes and many people come and go. I have had the fortune of working with her on and off for a number of years. I can absolutely say that I have never seen Marta without a smile on her face. She fills in for any position, she flexes any hours needed, and takes on whatever responsibility the day may bring her way. She is the first to call, the first to respond, and is essential in creating the solid team that works at RHMS. We are a better place today because of the example that Marta displays. Thanks to Marta, and to the team at RHMS: Collette Lockwood, Catherine Gallano, Amy Pritchett, Amber Lena, and Pam Dolan, now our Kitchen Manager at RHMS. I would like to put a spotlight on Wendy Zizka, kitchen assistant at Sand Creek Elementary. She has been with nutrition services for 3.5 years. Over the last 1.5 years that I have been fortunate enough to be Wendy's area manager, I can't say enough positive things about her. Wendy takes great pride in her work and is so committed to her job and the kids at Sand Creek. Anytime there is a need for Wendy to step up, she doesn't hesitate to do so. She comes in early and jumps right in to ensure everything is running smoothly and on time for the kids to get lunch. Recently I have had the opportunity to work with Wendy for few days and really got to observe her excellent leadership and training skills. She took time to explain tasks and processes to the substitute staff, and I felt very confident that Wendy will ensure the day runs perfectly. Thank you, Wendy, for all your hard work and dedication to our department and to the Sand Creek community! Lola is the Kitchen Manager at Mesa Middle School. She has been with Nutrition Services for over five years. Lola started as a kitchen assistant at Rock Ridge Elementary (RRE), and finally she wanted to take on her own school…I’m so happy she did! She has been a great addition to the Mesa family! It is always a pleasure visiting Mesa. Lola greets everyone with a big smile and makes you feel welcome in her kitchen. A big congratulation to Lola and her staff at Mesa for winning the Nuggets challenge! Rocky, the Denver Nuggets’ mascot, was a big hit when he visited the school February 7th, 2019. Students and staff cheered as Rocky climbed through windows, jumped on tables and ran around Mesa like a wild animal…..keep up the good work! Lola, I appreciate all you do! Thank you Lola, and also thank you to your wonderful kitchen staff: Michelle, Summer, Vicki and Debbie! Most of you know Paula Wilson as the Clerical Assistant for Nutrition Services. Paula came to DCSD in 2008. After several years working at CVHS as a Kitchen Assistant, she moved into the central office in 2015. Paula helps the entire NUTS team achieve success each and every day. Paula excels in the area of customer service and is fondly known to many as “Mom”. We have great appreciation of Paula’s patience and calming personality and are proud to give her the well-deserved title of “Extra Special Person”. Holly Long started as a kitchen assistant in 2014 at Ben Franklin Academy. She had the opportunity to become the kitchen manager this summer when the previous manager moved out of state. She jumped into this role with both feet and has been doing an amazing job! In this little time, she has increased her lunch participation, lead her team short staffed all year and has built a great rapport with staff members at Ben Franklin. She is always upbeat, has a positive attitude and always has a smile on her face. She has been a delight to work with and I feel very lucky to have her on my team! Thank you Holly for all that you do for the students at Ben Franklin! Meet Jodi Beckett. Jodi is the Kitchen Manager at Ponderosa High School (PHS). She has been with Nutrition Services a little over three years. Jodi started as a Kitchen Assistant, worked her way into Elementary Kitchen Manager and decided she wanted to lead a High School Team. Jodi had no idea what was in store for her when she took over PHS. Let me tell you, anything that could go wrong went wrong…… We faced equipment failure and structural issues, one after the other. Imagine needing to feed 1200 students and not having a single oven to cook food in! It happened at PHS. What happened next is where the good stuff is at. Jodi meets every challenge with a smile/laugh, “okay we are doing this” attitude. Instead of crying, which believe me, we had days that would have been so easy to do. Jodi methodically figured out how to serve lunch. She is an amazing leader and fun person to be around. A huge shout out to Charlene at Sagewood Middle School (SGMS) for letting us cook Subway bread at 5:00 a.m. for two weeks in her kitchen! The staff at PHS is nothing short of phenomenal! All for one and one for all is their motto. They are there for each other and genuinely care about the overall wellbeing of their team. Every employee stepped up, covered, worked extra hours and faced days on end with no dishwasher. Now if any of you have seen the amount of dishes in a high school, you know it is a huge undertaking washing them in a dishwasher. Wash them in the three compartment sink and wait for them to dry is brutal. I feel very fortunate to work with the entire staff at PHS. Through the trying months, PHS broke their highest ever Subway sales record. The original record was set back in 2010 when the school enrollment was twice the students it is today. Wow…. that’s a huge feat. To say I am proud of this team is an understatement. Please join me in thanking the staff at PHS for a job well done! Tracy Scheleski, kitchen manager at Larkspur Elementary, started as a kitchen assistant with Douglas County High School last school year. When learning the kitchen manager position was opening up at Larkspur Elementary the end of last school year, Tracy inquired about the position. We already knew she was a great asset as a kitchen assistant. We were sure she would do great as a kitchen manager ….and she has. Tracy has truly become a student of the position. Tracy has mastered the understanding of the daily operation of the kitchen; from the recipes to serving of students easily. Where Tracy has really focused is on her Profit and Loss Reports (P&L’s). She is understanding all that affects her P&L’s; specifically her food cost. Tracy has done a great job in managing her inventory and production to put her school in the “green” for food cost for the past two months. It has been a joy to work alongside Tracy and watch her learn and grow in her new position! Thank you Tracy! Megan Ems started with our department early last year, and in this short time she has had so much positive impact on my team and on our department! Not only has she done an excellent job at Cougar Run Elementary, she also completed the Manager in Training (MIT) program and helped during the summer feeding program. Megan is always looking for opportunities to learn more and is proactively looking for solutions to make things better for her team and the students. Recently I had asked Megan to help fill in the manager role at one of my schools, knowing that she would jump right in and do an awesome job. Sure enough, in the few weeks Megan has been filling this position, she made many positive improvements to the kitchen and lunch serving processes. Her work, positive attitude, and commitment has even been recognized by the school's administration team. Megan is just an amazing person and I am very thankful to have her on my team! As many of you know, we have seen a huge rise in in the number of students with food allergies whom we are serving. In fact, 53 kitchen managers and their staff are currently providing at least one modified meal at their school. While I know you all take the upmost precautions when handling foods for these students, occasionally things happen that are out of our control and can cause some scary situations. Recently one of these situations occurred at Sand Creek Elementary. A student with a food allergy (not known to us) ate something new from the cafeteria and had an allergic reaction that sent them off in an ambulance. The student ended up being okay, but can you imagine if that happened at your school with one of your students who you fed? I am not writing this to freak anyone out. Rather, I wanted to recognize the Extra Special Person who handled this situation with great care and thoroughness, Paula Mense. Paula did everything right in this circumstance to make sure the child, parent, principal and school nurse had what they needed to determine what could have caused this reaction. She stayed calm, provided food labels for everything the child ate, and contacted me and her area manager to apprise us of the situation. 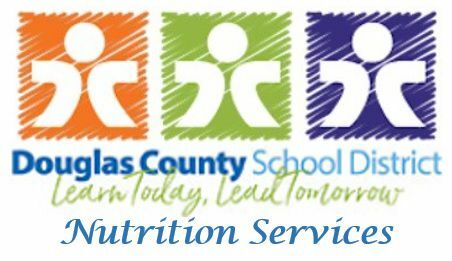 Paula has been with Nutrition Services for eight years; four years as manager at Sand Creek Elementary. Paula takes great pride in her job and what she serves her students. She is very observant and is great at planning ahead, often providing valuable feedback to the menu team. Paula has really made Sand Creek her home and truly cares about her students. Thank you Paula for your dedication to Nutrition Services and the students at Sand Creek! Luann is the Kitchen Manager at Douglas County High School (DCHS). She has been with Nutrition Services for over 16 years and has worked in the same kitchen. It is always a delight to walk into DCHS kitchen. Luann and her team are always positive, laughing, and enjoying each other’s company. This school year, Luann is off to a great start at DCHS. She broke, for the third time this school year, her all time highest Subways sales record! The third time, they were up almost twenty percent in sales! If you didn’t know, Luann manages two kitchens. The north building has the action station and main Subway, and the south building has a lot more grab and go items. With the increase in sales, she has been able to add an additional employee and purchase new equipment. Luann and her team have worked hard to increase their sales and participation. Their hard work has truly paying off! Fantastic job! Their dedication, great attitude, and flexibility are truly appreciated! Thank you DCHS team!!! Shu-Fang Duong comes to mind immediately when I think of an Extra Special Person. I have been so fortunate in working with Shu over many years. Shu and I worked together at TRHS around 2007ish! She became our "Snack Bar" expert, where she not only managed all sales, but did her own inventory and ordering needs. We had lots of fun during that time, and working together was a pleasure! Since then, Shu has worked at other sites, moving from the Kitchen Assistant level to At-Large Kitchen Assistant. She is one of the most flexible individuals I have ever worked with. She views everything in a positive manner. As an At-Large, you must be able to change schools regularly, and move into different environments quickly. Every time Shu works at a school, I get compliments about her. This year she has been the temporary kitchen manager at Lone Tree Elementary. I have had calls and emails from the LTE Staff/Administration, telling me how wonderful the kitchen staff is. (Kudos to Shu, along with Cindy Yoshida and Kerry Willbury! A truly awesome team!) I'd like to thank Shu for the work she does, and even more, for the person she is! I am fortunate to have worked with Kerry Livingston when she was first hired in Nutrition Services. Kerry was hired as a kitchen assistant at Stone Mountain Elementary. At the time, this was one of my schools and the Kitchen Manager went out with a broken foot. Knowing that Kerry had a background in foodservice, I had approached her to learn enough to cover the kitchen while the manager was out. Well, Kerry did more than that. She learned opening and closing the day, ordering and production. She soon could cover the kitchen so that I had time to visit my other schools. It was not a shock to me to see that she became a manager the following year. Two and half years later, I get the chance to work with Kerry again! Kerry approaches her kitchen with calm and confidence. She has a great team working with her and her leadership is evident in her kitchen. Kerry’s school was chosen to pilot the online ordering lunch program, ClickEatGo! While this could be a bit overwhelming to try out a new program, Kerry pulled her sleeves up and dug in to learn the new program and deliver on all expectations for both Nutrition Services and our parents. Kerry is an asset to our program and I am very proud to work with her and make this year great!